Ask for a higher floor. Use the hotel taxi to the town/beach, and there is a washer in apartment so take wash tablets. Quiet on Sundays but still some things are open..
Alvor is a lovely village with great places to eat where families are always welcome. Great if you don't want your night life too lively. The beach is about 15 minutes walk but worth it. I would recomend alvor to anyone with children. There are plenty of eateries and bars to cater for all tastes in the resort and we had great fun in the one of the Irish bars. We found some wonderful beaches not too far away. We are looking forward to our holiday there this year very much and will probably try to visit again in 2012. 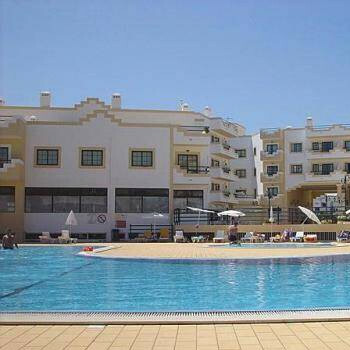 We love Alvor and the Alvormar Apartments. Alvor is a lovely resort, it was described to us before we left as 'cornwall in the sun' and in some places, especially down at the harbour then it really is, lots of tavernas selling fresh fish and a good atmosphere. The harbour area is very pretty and it's nice to sit and watch the boats as the sun goes down. The beaches are also very well maintained with sunbed and parasol hire costing us 10 euro which we thought was very reasonable, the lady hiring even threw in a third sunbed for our daughter. We didn't find much entertainment on in the main resort area, maybe it was because of the time of year. We did however find a great bar just at the edge of the resort of Alvor called the Cactos II. It's owner Mark and his wife Ali do an excellent job of making their customers feel very welcome. Mark provides live music every evening and they really go out of their way to make every customer feel special, we cannot recommend the Cactos enough for anyone visiting Alvor, we found their prices were also a lot more reasonable than the habour area. The only annoyance with the resort is the pavements, or lack of them. With a 3 year old and a pushchair we thought it was dangerous. Our rep. tried to tell us it was perfectly fine but we didn't feel it was and apparently the local council are going to be upgrading the pavements, i'm not sure when. If you want a resort with a walkway right along the beach then it's not the place. Alvor is a lovely fishing port, with great beaches. It is more for couples and families, not singles looking for a wild time. Good choice of restaurants, with the best food being at the Lemon Tree which we found excellent quality and friendly staff. Alvor is a lovely quiet resort, and has a lovely beach. Many fine restaurants. It was a delight to walk through the town at night. There is an excellent bus service to several delightful destinations. I will be taking another holiday in Alvor in September. I will be staying nearer the town and the beach. If you want a relaxing holiday this is the place to go. I would rate this resort 5. Alvor a tradional fishing village,with lovely people.Their English is perfect as their service. Restaurants serve high quality food,for seafood the choice is wide ranging fresh everyday but Monday. Nightlife varies but good,Saturday night the town is buzzing the Portuguese party til late,in fact most bars dont come to life til mid-night. In Alvor theres a great sports complex,pool,gym & sports grounds.For walkers like me,there is the long beach & sand dunes,all other areas are roads some steep some on busy roads. I would recommend Alvor for families & 45+. Alvor is really nice with lots of places to eat. Was still a busy resort in September, but not as busy as the months before, but just how I like it. on our first night we ate at the Albar snack bar & restaurant. fantastic value for money, service was quick and the staff freindly. and twice we ate at the Grill restaurante A Lote, just up from the harbour, with the biggest prawns iv ever seen, and the food is the best ever. staff great and will be back to eat again. The Black Stove bar, really freindly staff and met other some friendly customers, with great entertainment every night.